The broadcast stations at Missouri Southern State University continue to provide programming of interest to the campus and community. Below are some schedule notes for the upcoming weeks. Semester-long study abroad experiences are highlighted in new “Window on the World” interview programs. The student interview programs are hosted by Jillian Wirtz. They feature interviews with Brianna Allen, who studied in Italy, and Alecia Henson, who studied in England. The students share their experiences and reflect on the benefits of study abroad. The programs air weeknights. The “Newsmakers” programs airing weeknights for the next two weeks look at news from Jefferson City and services offered locally for small businesses.The interview airing the week of March 19 features Missouri State Rep. Charlie Davis. He discusses the current legislative session, action taken so far and upcoming issues facing lawmakers. The interview airing the week of March 26 focuses on services provided by the Small Business & Technology Development Center, located at Missouri Southern. Guests Karen Bradshaw, Lisa Robinson and Ken Surbrugg share information about the services provided to area businesses and programs for entrepreneurs. The new edition of “Joplin Insider” features information about recycling options in Joplin. The program features Public Information Director Lynn Onstot visiting with Joplin Recycling Coordinator Mary Anne Phillips and Joplin Workshops Director Susan Adams. The program airs weeknights on KGCS. Local programming will continue as scheduled during Spring Break. Students have produced shows in advance, which will air from 3 to 9 p.m. each day. 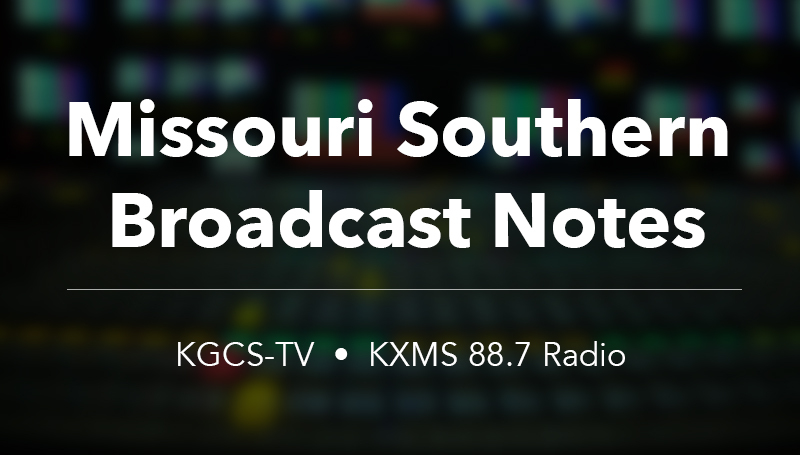 KGCS and KXMS are broadcast station operated by the Department of Communication at Missouri Southern. KGCS programming may be seen over the air on digital channel 22 and on regional cable television systems, as well as the station’s YouTube channel. KXMS can be heard at 88.7 FM.